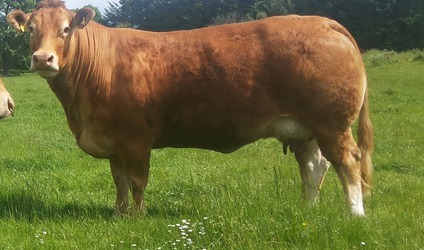 Eva was an exceptional calf from birth and has remained so to date. 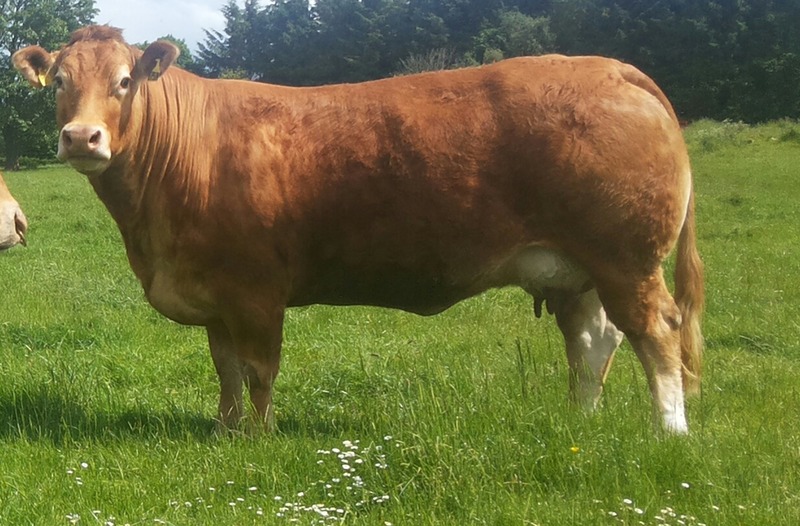 Weighing over 620 kilos at 400 days, as a heifer she displayed incredible growth and style from birth. 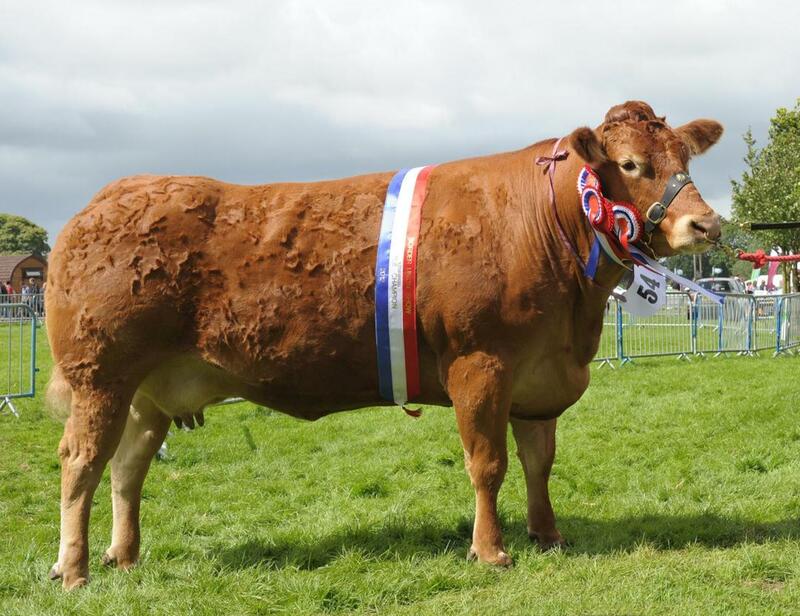 Her pedigree must be noted and counting the number of "Royal Show" champions and winners therein is not an easy task: Broadmeadows Didi, Broadmeadows Ainsi, Fieldhouse Rita, Uplands Carmen, Señorita, Jencra Gemma, Hampton Nadine etc. 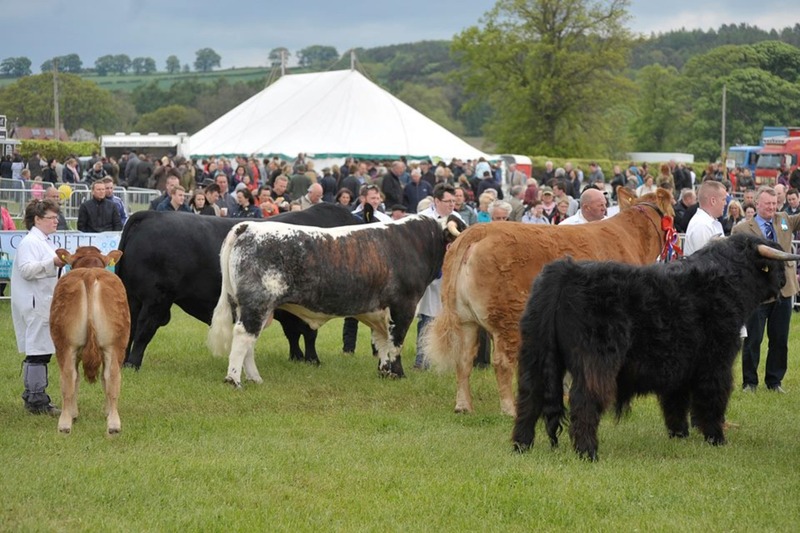 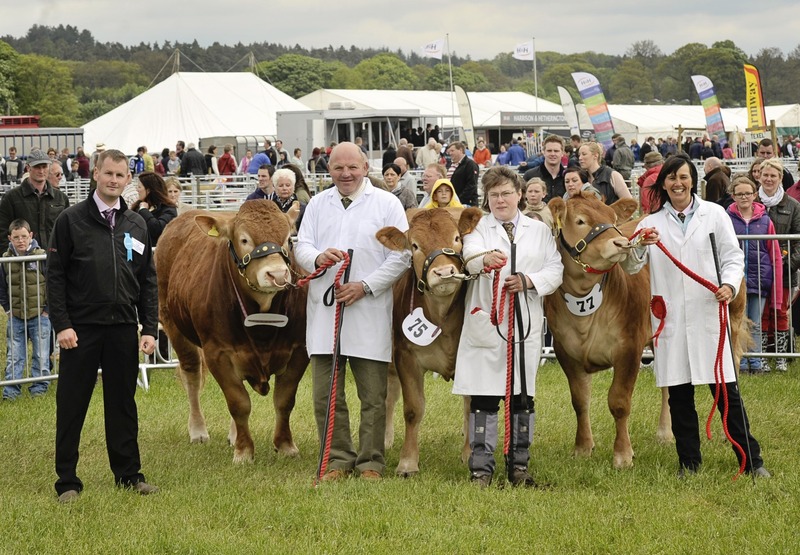 Eva herself had a successful show season in 2011 competing for top prizes at the Royal Highland Show and at Northumberland County Show. 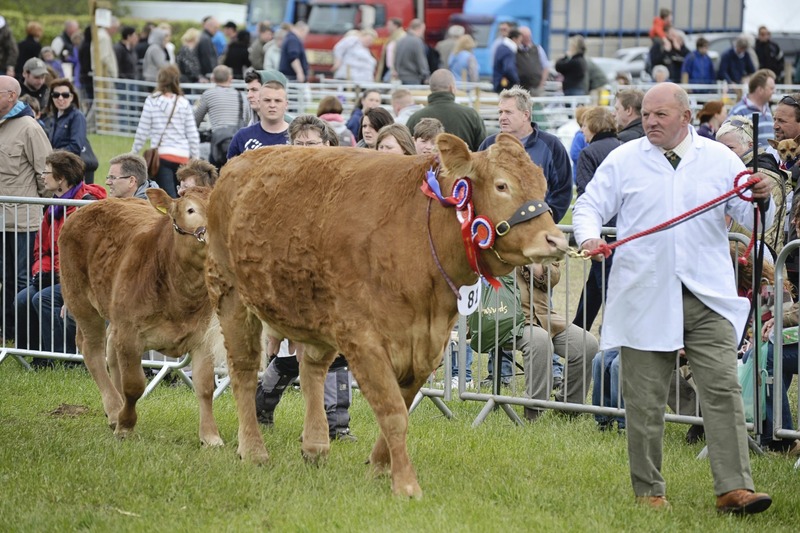 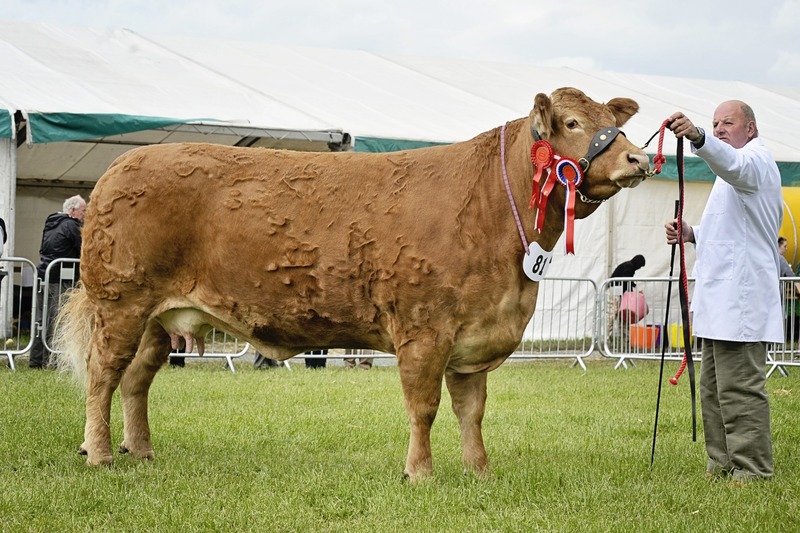 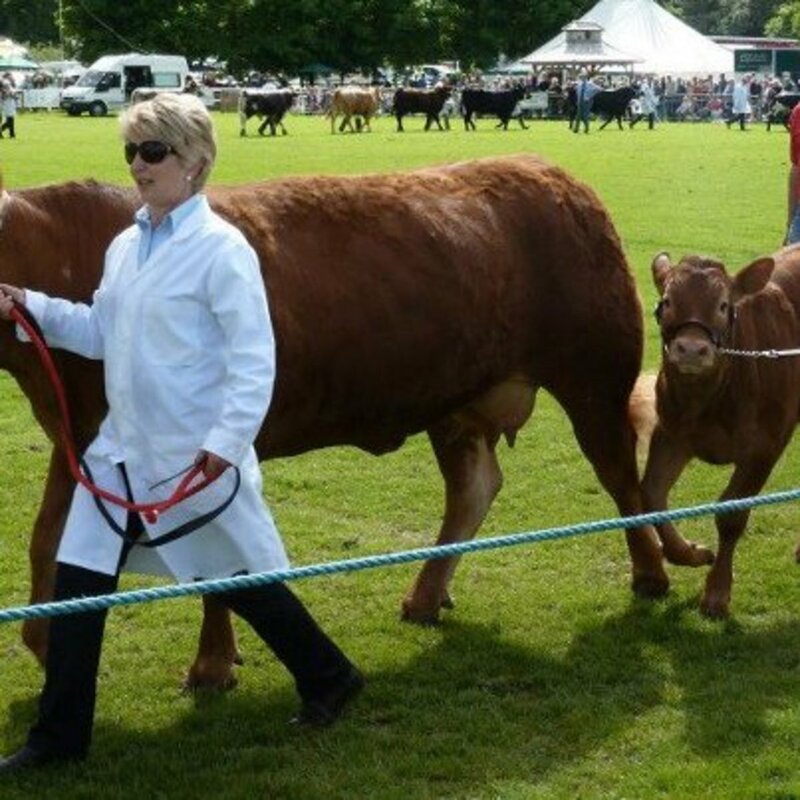 Eva was Supreme Limousin Champion on her only outing in 2014 at Berwickshire County Show and won 1st at 2015 Northumberland Show and Overall Reserve Breed Champion, 1st at Highland Show, 1st Scottish Grandprix at Turriff and Best Exhibitor Bred Animal. 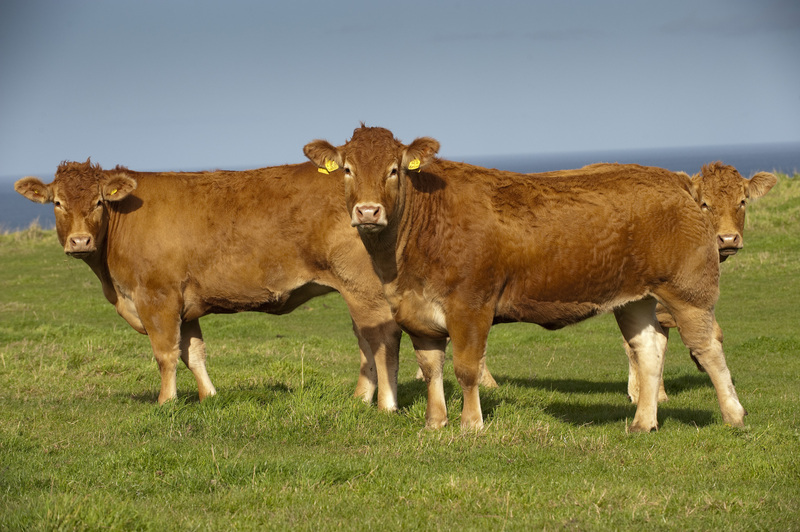 Her daughters Jura & Maeva will make expectional females. 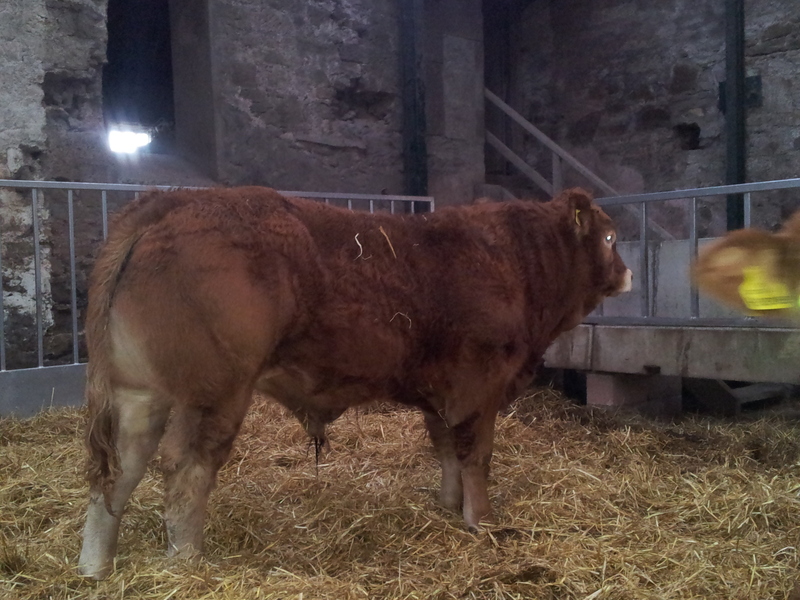 She has recently been flushed to Ampertaine Gigolo & Trueman Jagger. 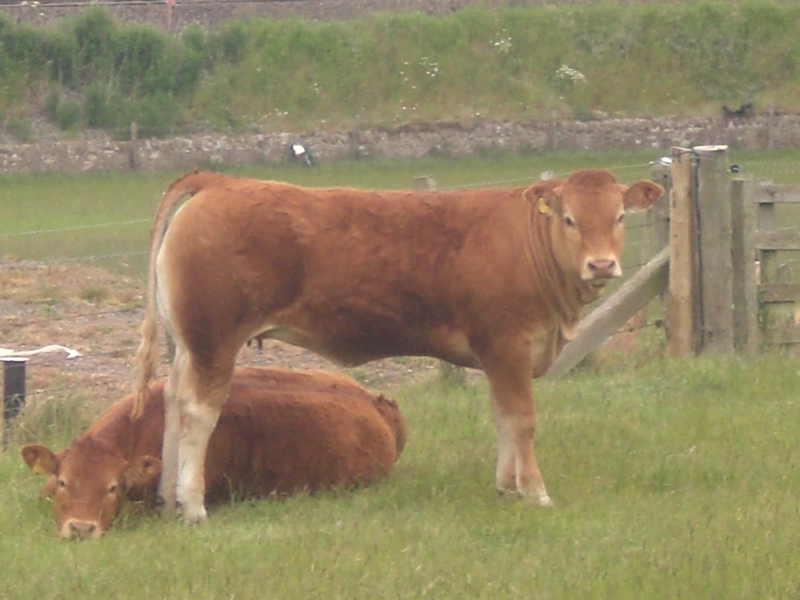 Hope was always a lovely calf and has since turned into a super heifer. 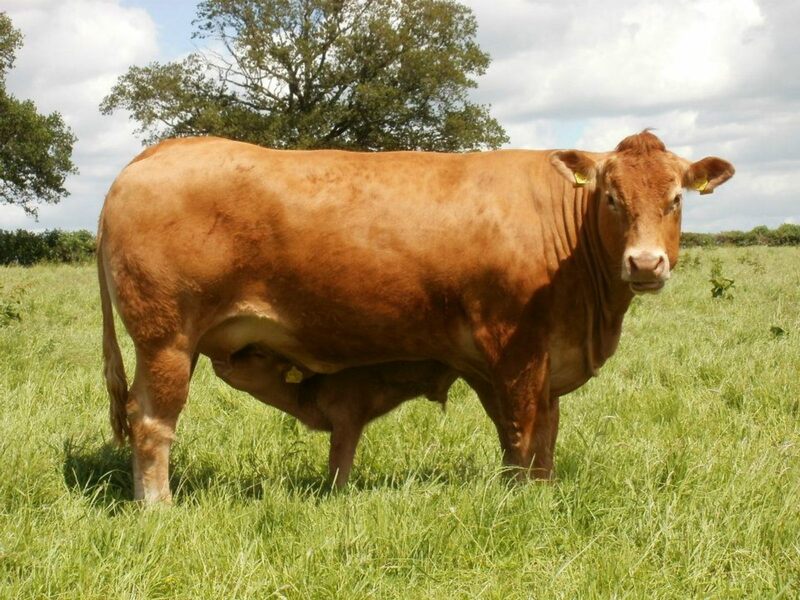 Her dam Fuzzy is the only full sister to Brockhurst Option, the great breeding cow behind much of the success at Millington Grange. 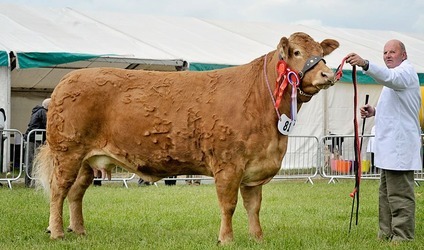 This makes Hope the same way bred as Millington Davina (Royal Show Champion and later sold for 28 000 gns) Millington choice (10 000 gns) and the very successful Millington Gorgeous (Junior Champion Royal Welsh 2012). 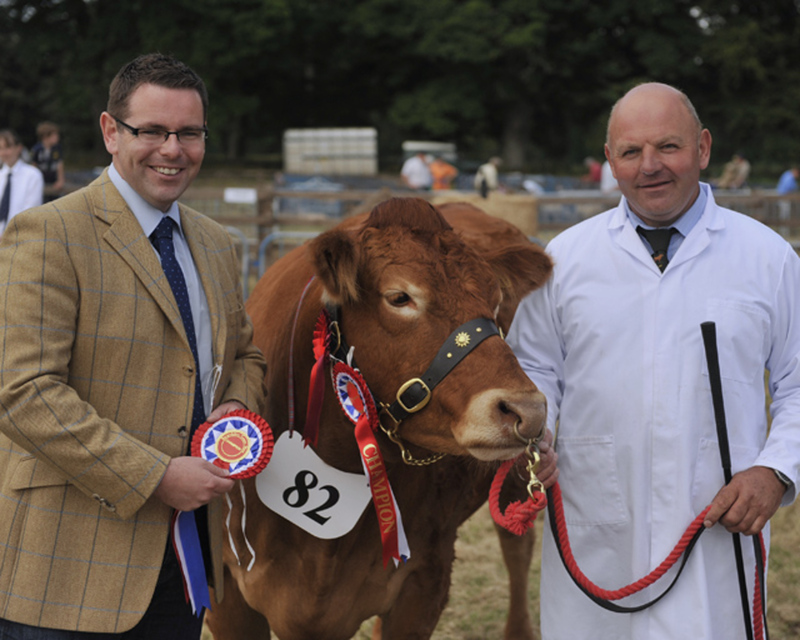 In the 2013 Scottish Herd Club Competition, Judge Gary Swindlehurst, of Procters Fame, placed Hope 3rd best 2012 born heifer in Scotland despite being a November born beast. 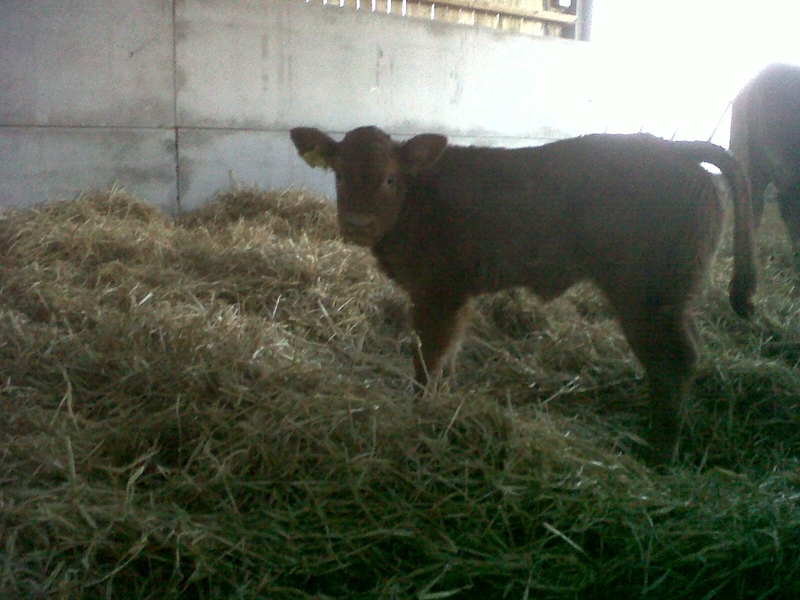 Her full sister Meadowrig Jainsi will also be one to look out for! 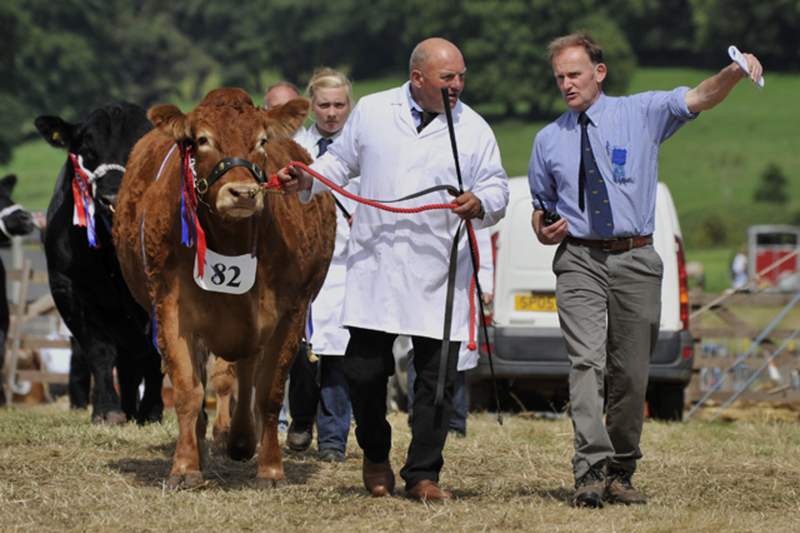 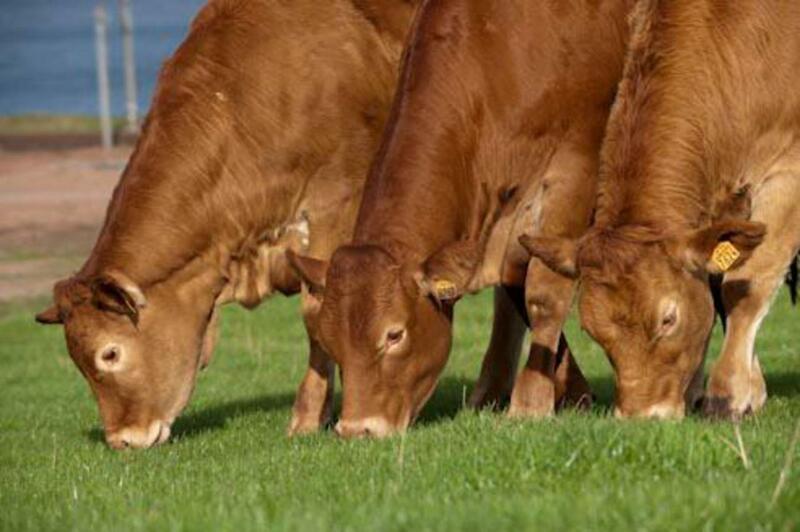 Epson was purchased for 15 000gns at the on-farm Haltcliffe sale in the Summer of 2011. 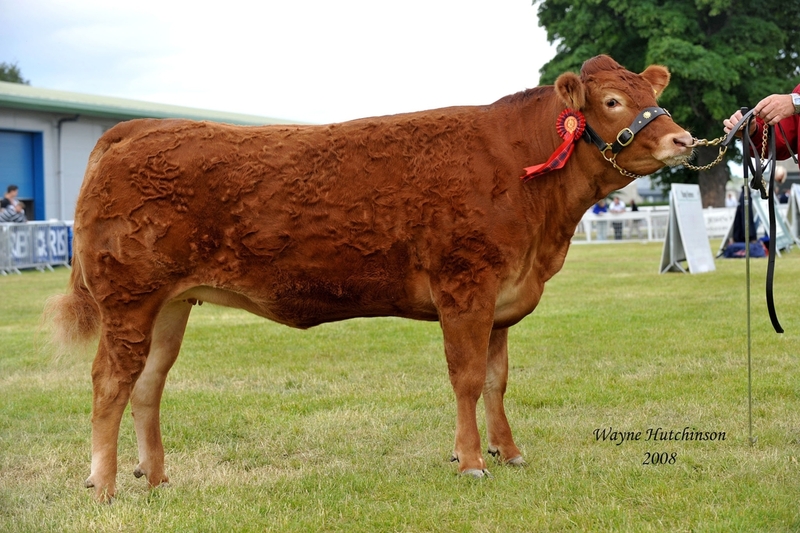 She has great shape and has that extremely successful combination of Sympa x Cloughhead Umpire in her pedigree. 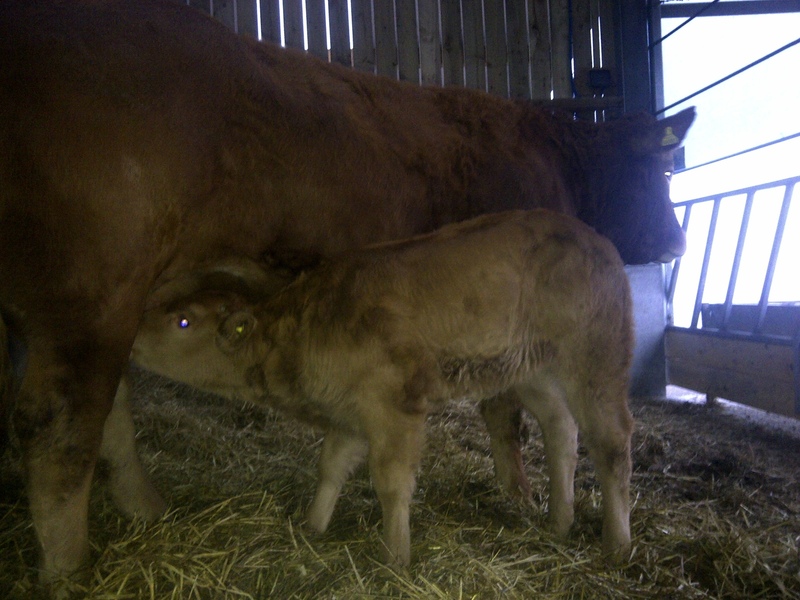 Epson had a lovely heifer by Co-Pilot which we have retained for breeding. 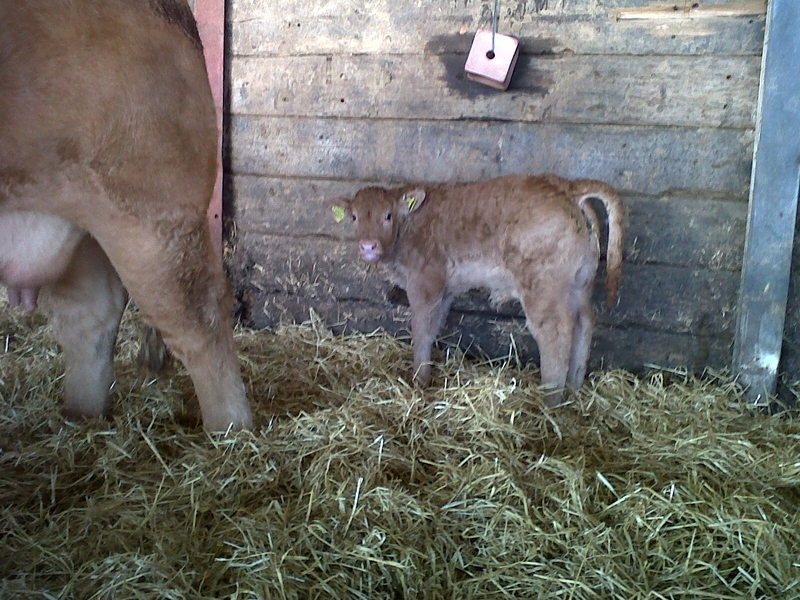 Her next calf is the pick of the Spring born 2014 calves, a bull calf by Festival. 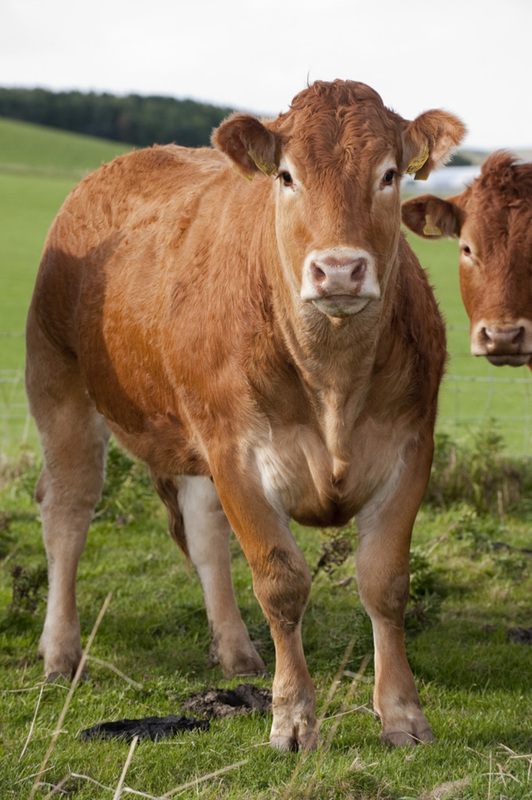 We think a lot of this young cow. 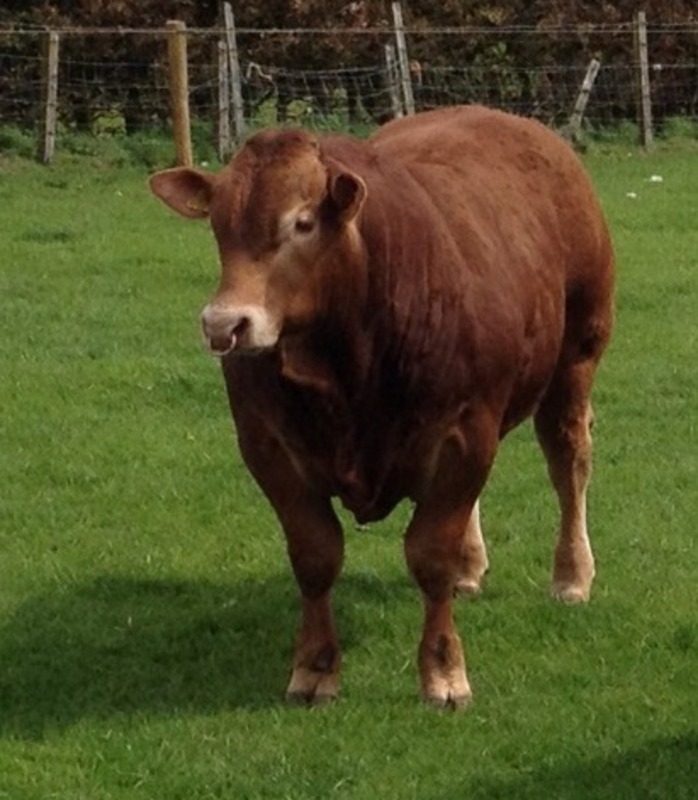 Era is very large cow and is full sister to Meadowrig Eva. 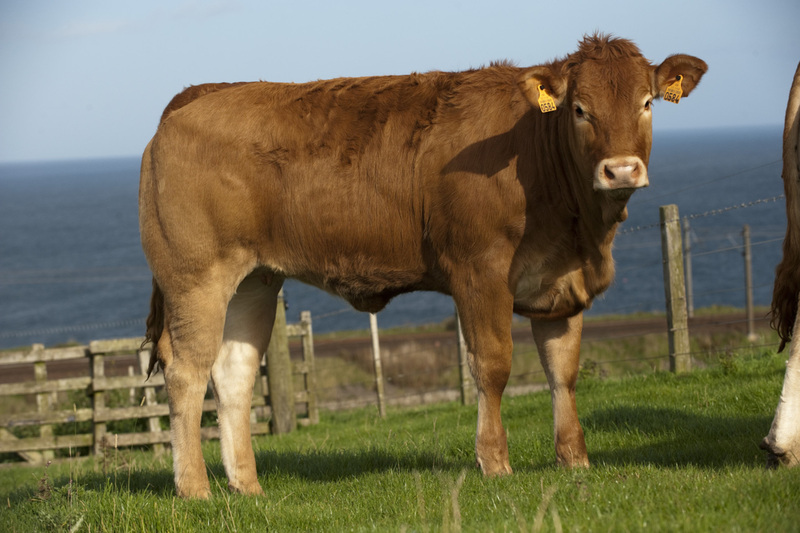 Era weighed around 580 kg at 400 days and has displayed exceptional growth from an early age. 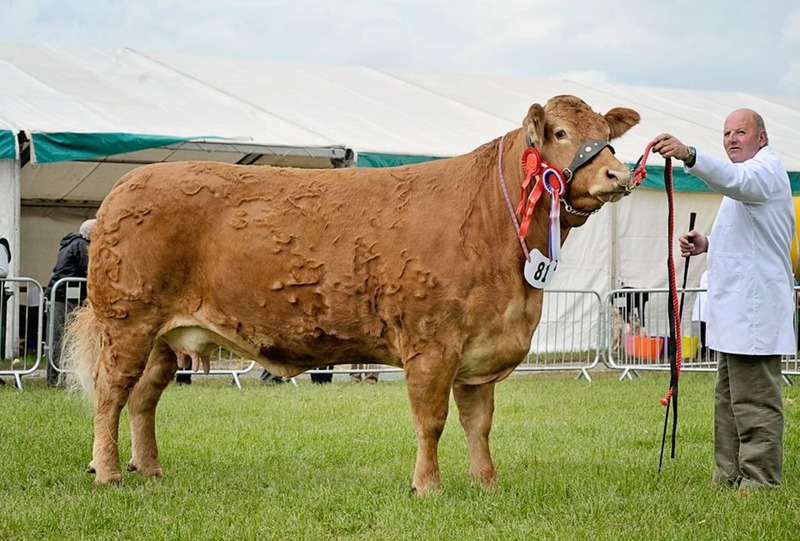 She has a wonderful temperament and has been shown successfully being part of the winning Interbreed Team at Northumberland in 2011. 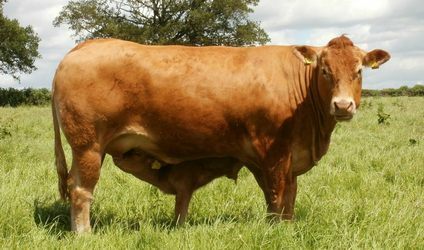 She is breeding very well for the herd and calved an exceptional Wilodge Cerberus heifer calf(Meadowrig Holly) in early January 2012. 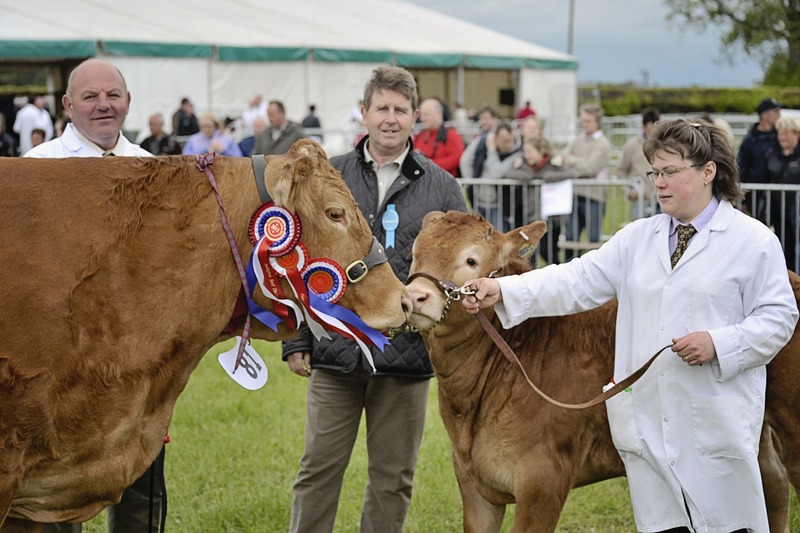 Era and Holly were placed fourth behind her embryo sister in a very strong class of Junior cows at the 2012 Royal Highland Show. 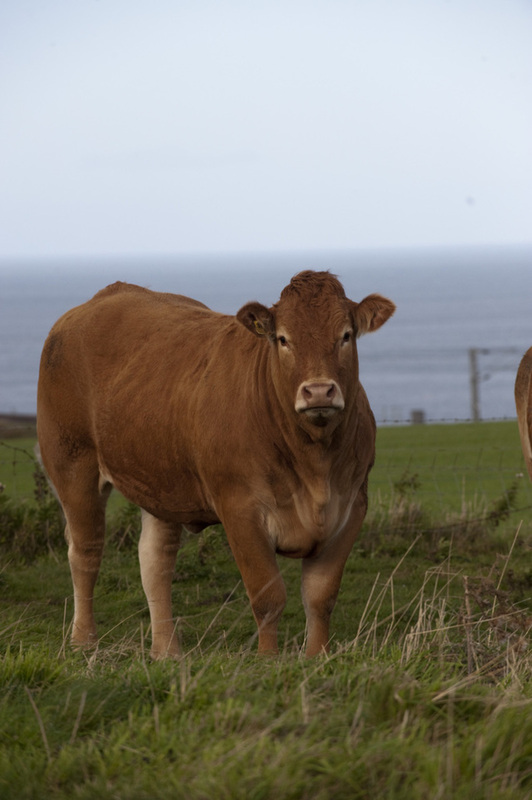 Other daughters to be retained include Lizzie and Marsha. 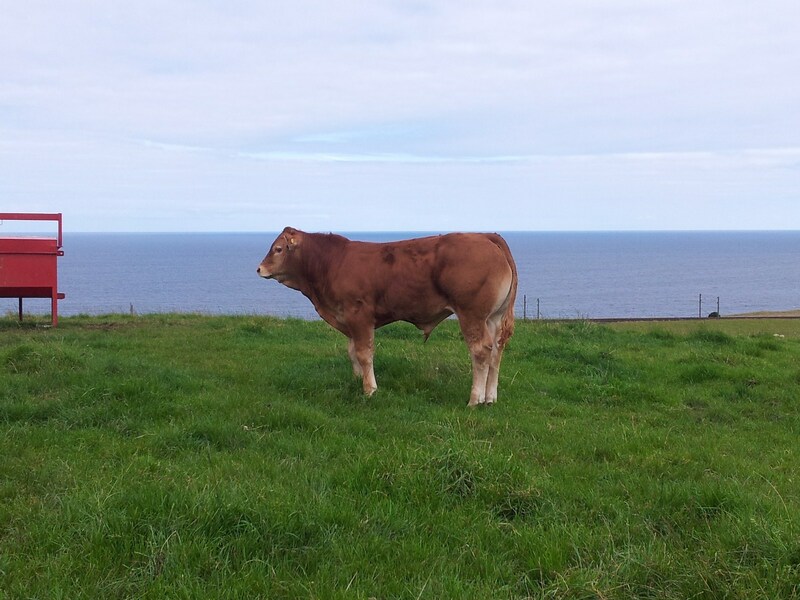 Eider is a beautifully bred young cow purchased for her exceptional dam line going back to Broadmeadows Jay. 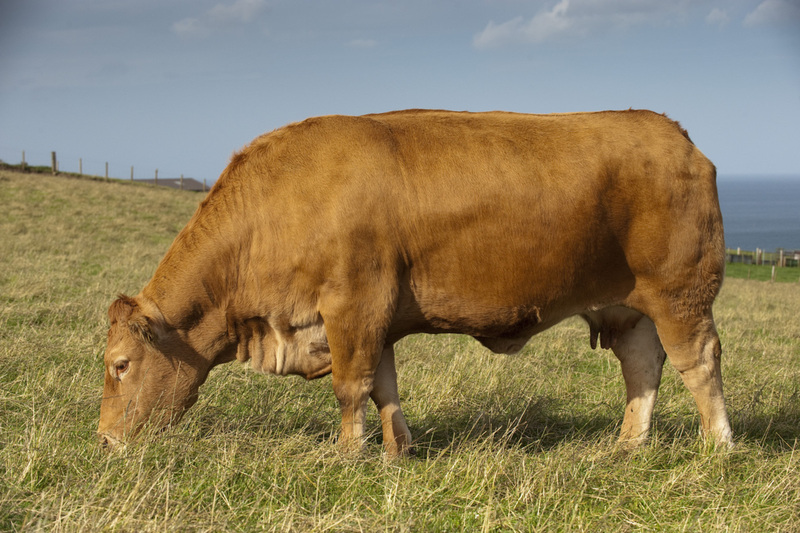 Her pedigree includes a number of the breed's great sires: Oxygene, Jockey, Titan, Jersey all combined with the outstanding brood cow Broadmeadows Jay, who sold for 10 000gns at the Broadmeadows dispersal sale. 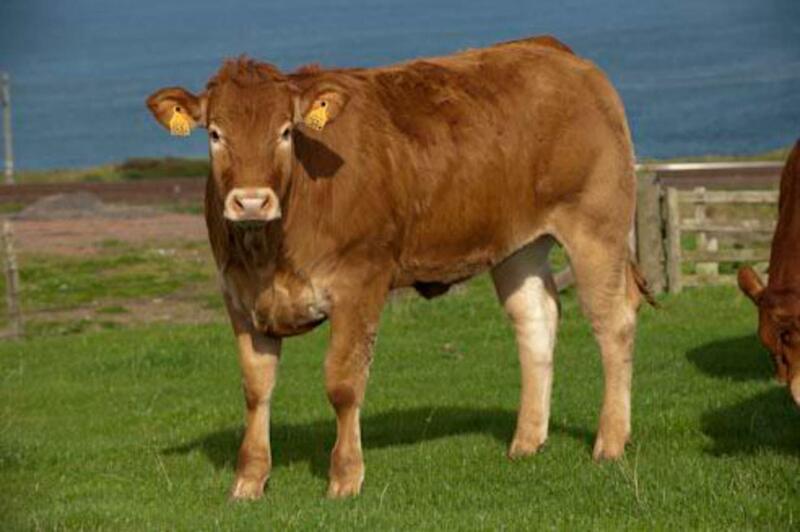 Eider is a large framed cow, long and extremely sytlish. 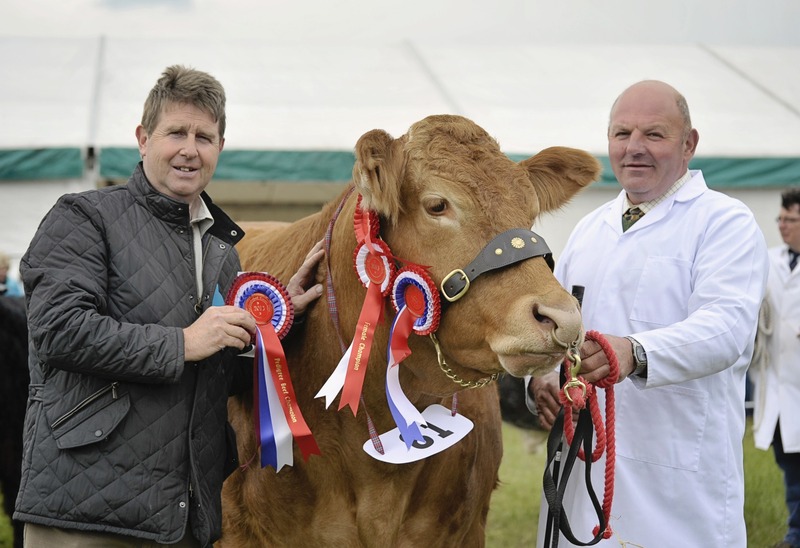 Ella is a fine heifer with good all-round breed qualties. 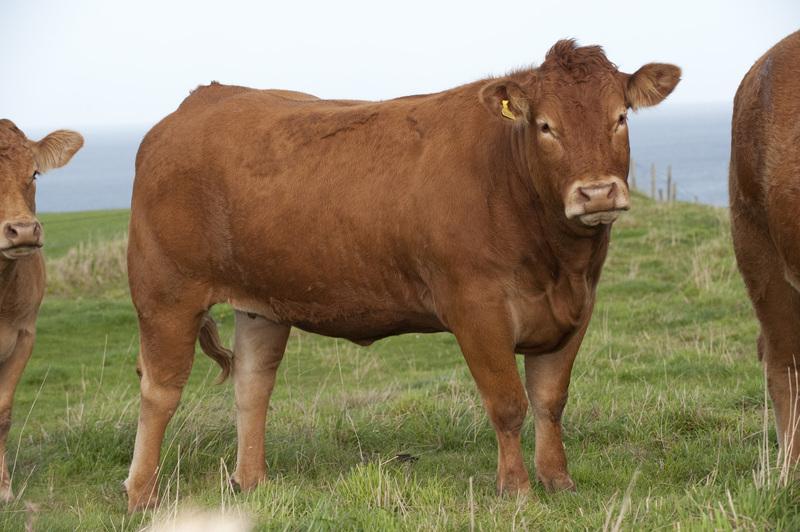 She is a large framed heifer with plenty of style. 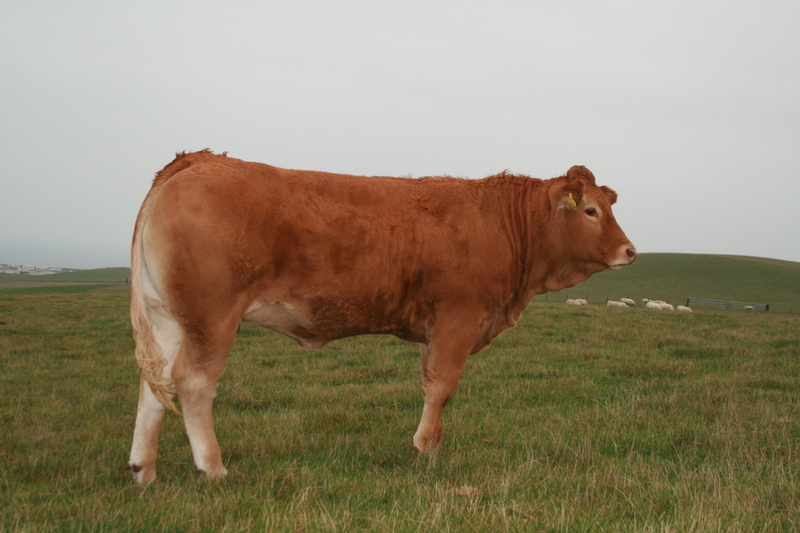 Her dam, Soneycomb is from a good line and has bred well at Sarkley. 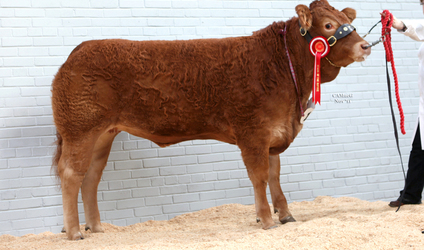 We were pleased to secure this heifer at the Sarkley production sale in 2011. 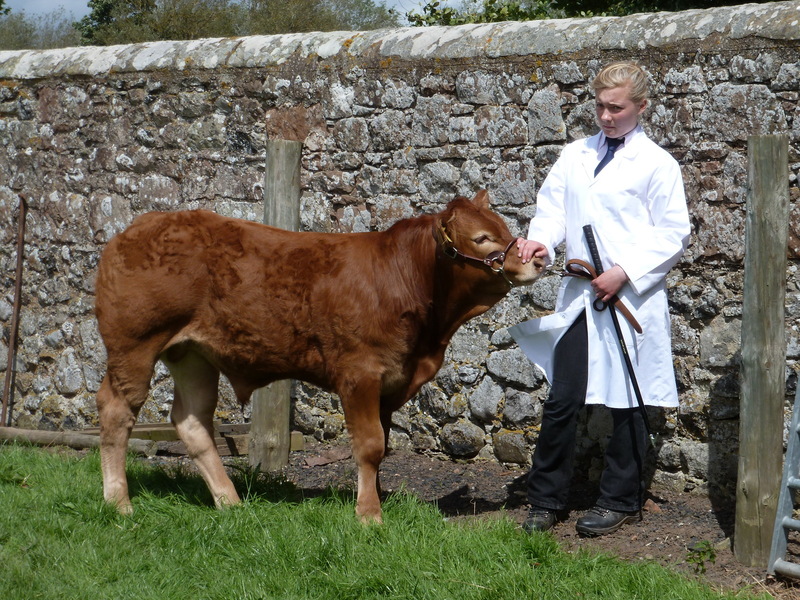 Ellacomb calved a lovely heifer calf by Carmorn Copilot in March (Meadowrig Honeycomb) and will now be settled in calf to Festival. 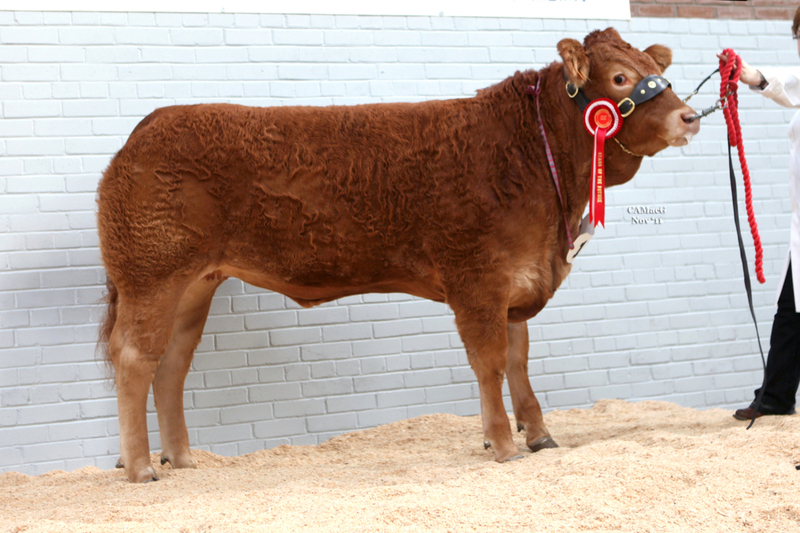 Fée was purchased from the Brive national show in September 2011 for 5600 Euros. 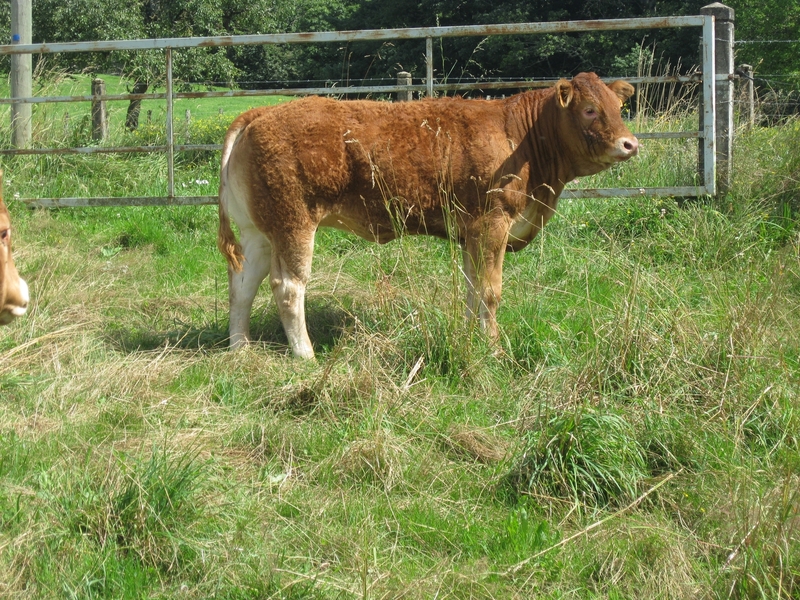 She is the second heifer we have purchased from Chatelus and is already showing great promise. 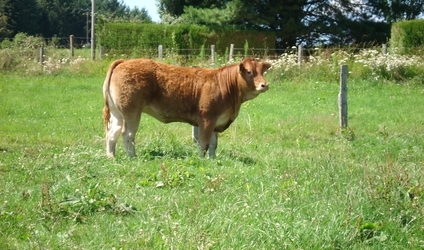 She was placed 1st in the "Stars of the future" senior heifer calf class in November 2011. 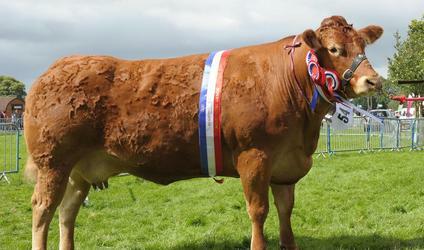 She went on to win 1st prize in the intermediate heifer class at the Border Union Show. 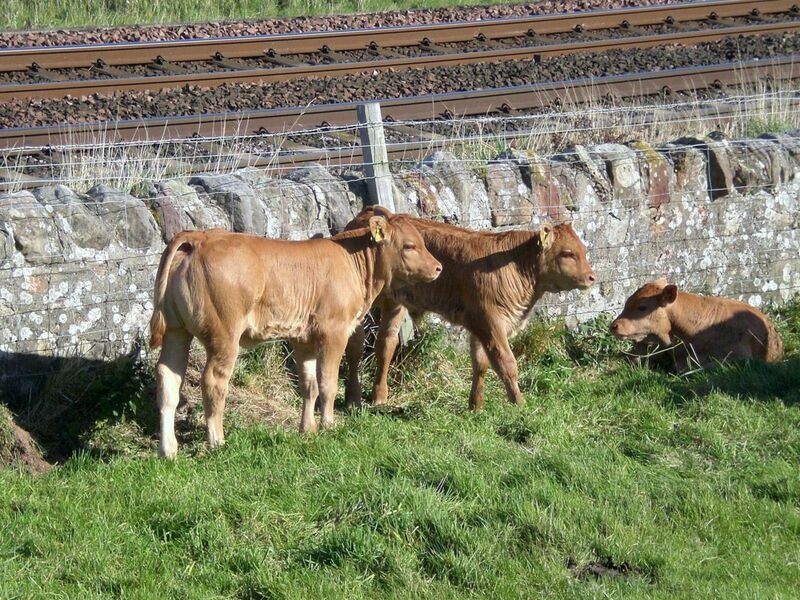 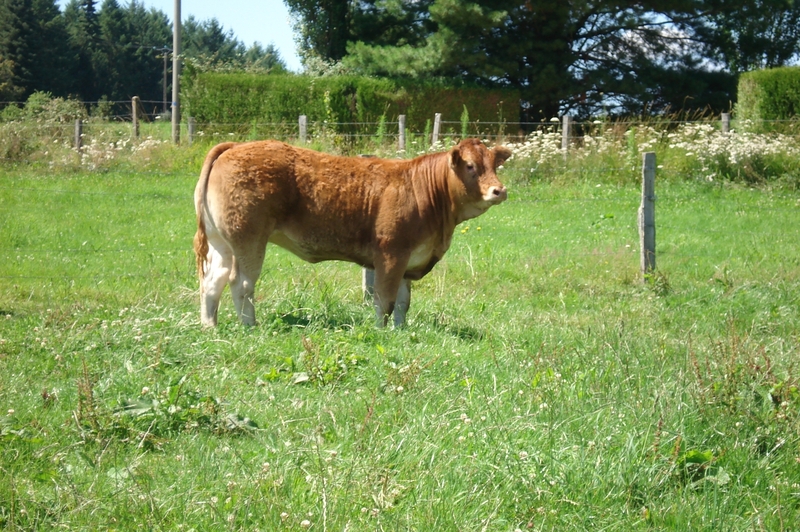 Fée was flushed to our stock bull "Festival" in January 2012 and her first calf was born in November 2012. 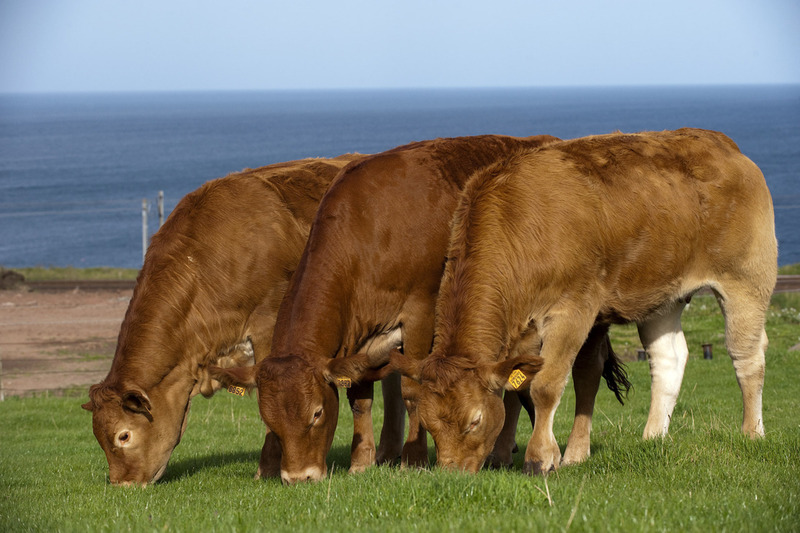 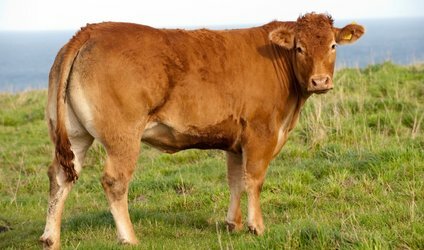 Fée has a beef value of 34. 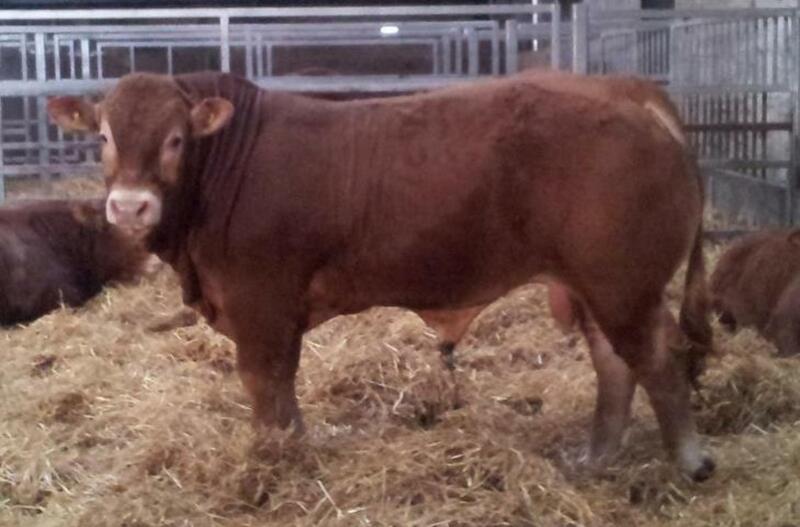 Fatima was purchased at the KBS Prestige XII sale in Brive for 12 800€. 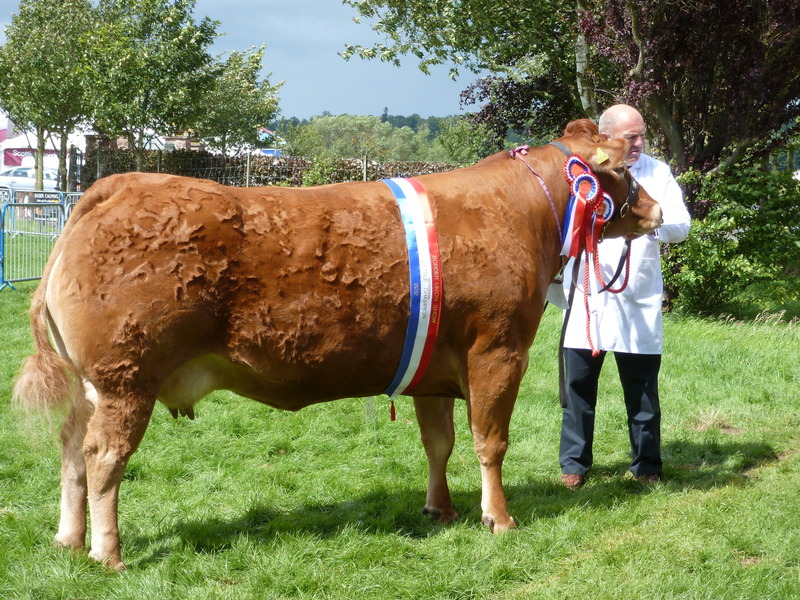 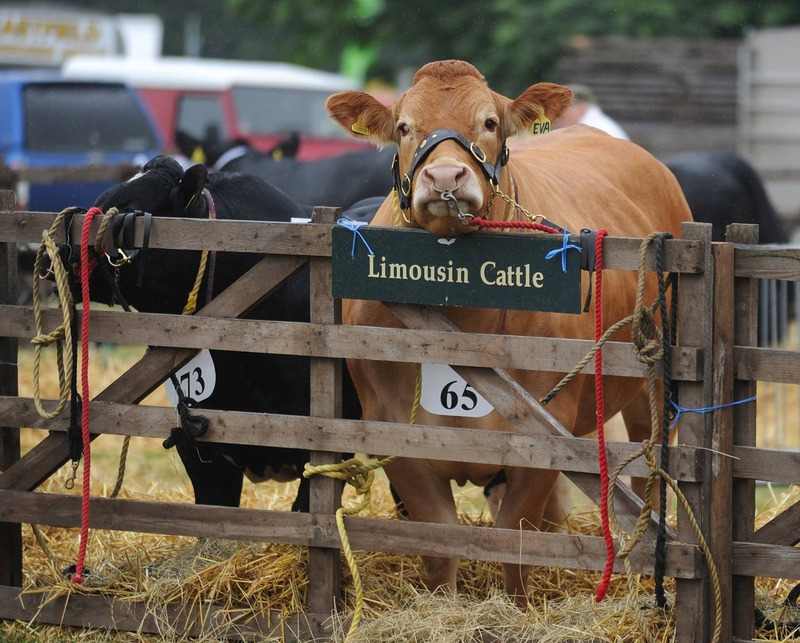 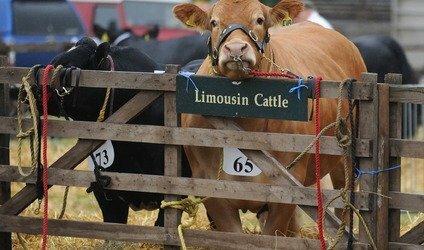 She had stood as Junior Champion at the Correze Limousin Show the week proceeding the sale. 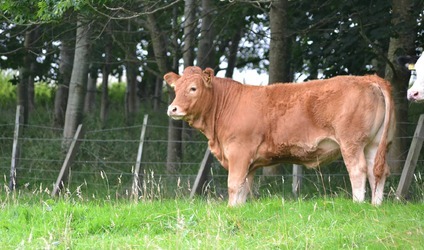 She arrived at Meadowrig in September 2011 and has already made her mark. 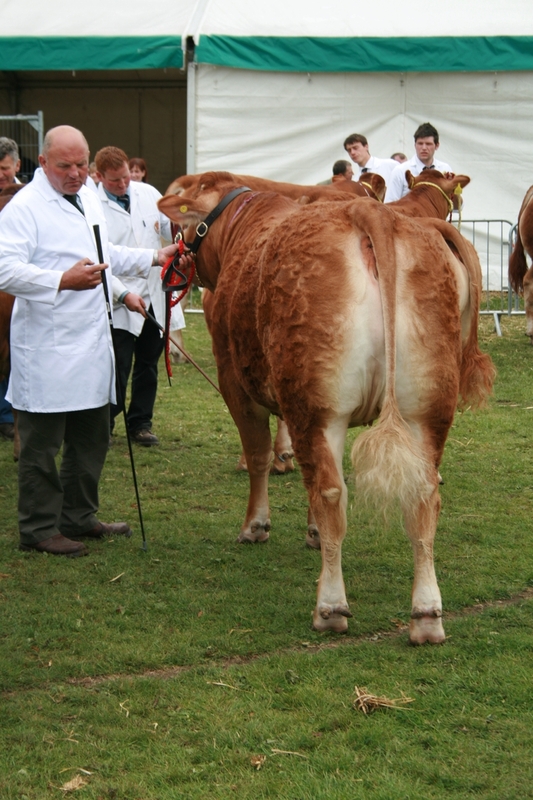 She stood a very close 2nd in her section at the "Stars of the Future" 2011 show in Forfar in Novemember and went on to win fifth place in a very large class of intermediate heifers at the 2012 Royal Highland Show. 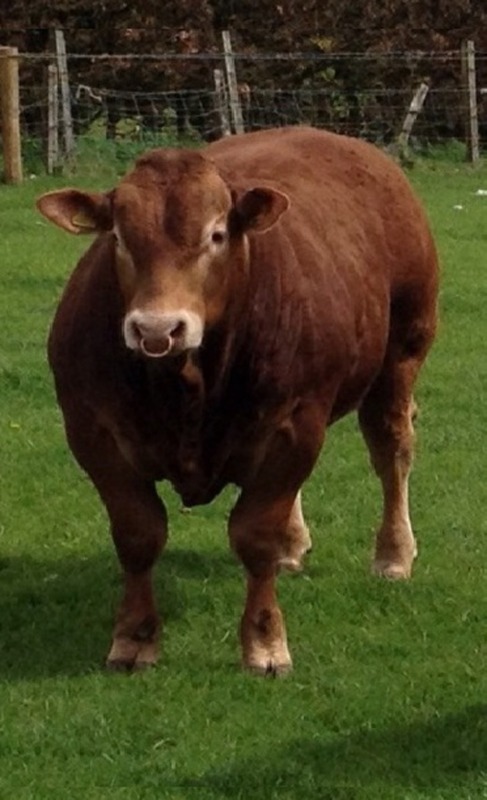 She excells in growth, width and style. 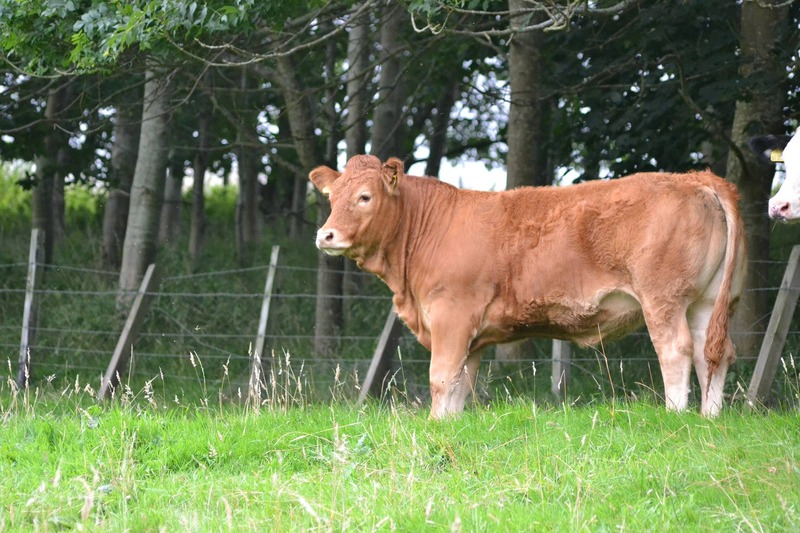 Currently with a terrific "L" heifer at foot this cow is sure to leave a great legacy at Meadowrig. 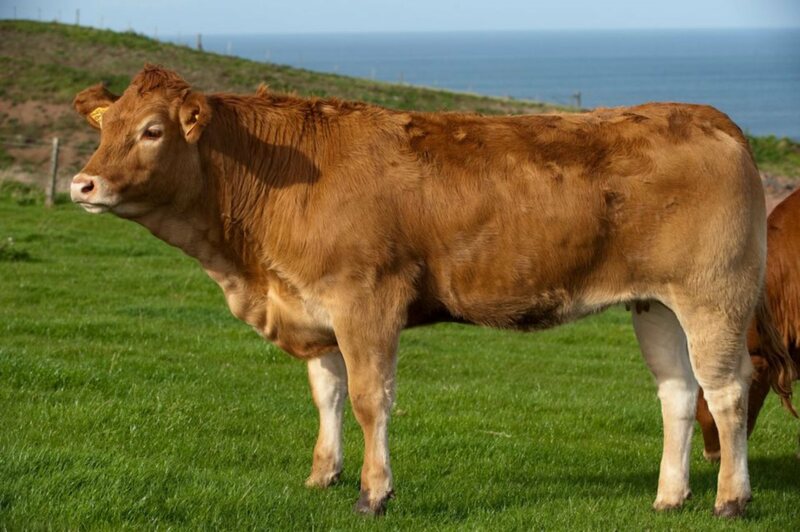 Facetie is the great granddaughter of Operette, dam of the famous Sympa and is the only registered direct female descendant of Operette in the UK. 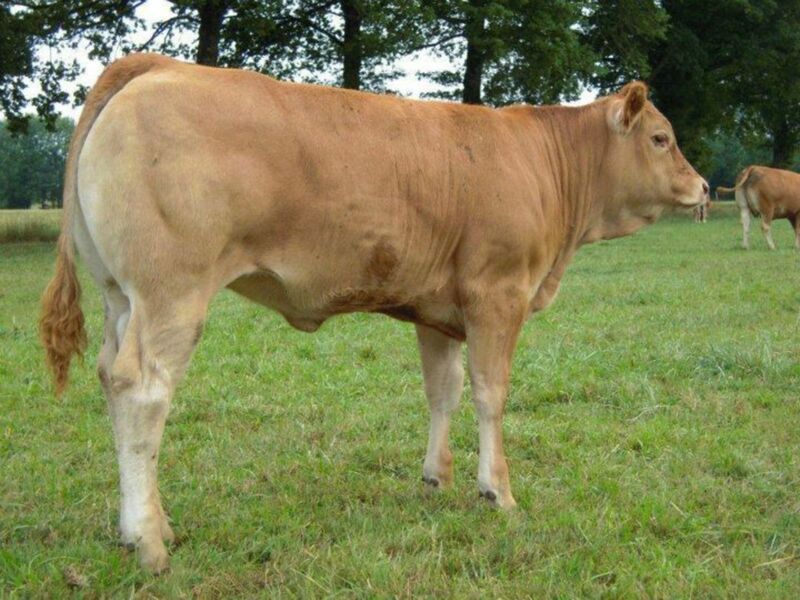 She was purchased at the KBS Prestige XII sale from Germain Souton in Brive France. 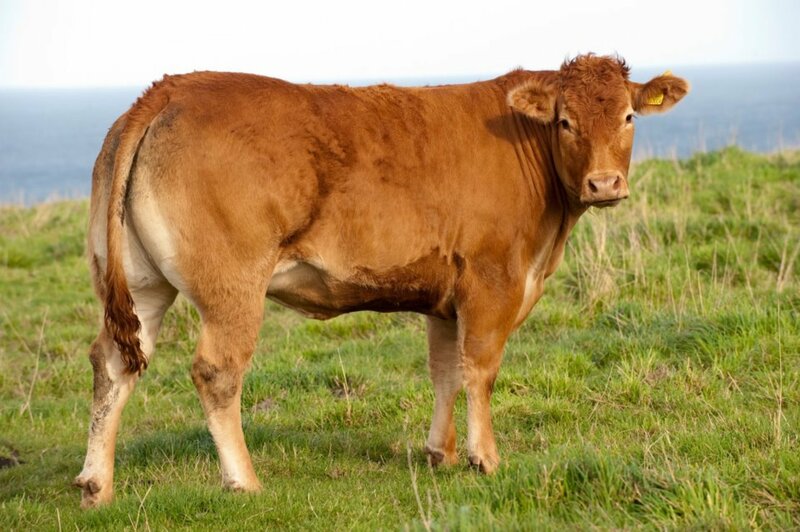 Apart from her breeding, Facetie is a very long, well grown and feminine heifer. 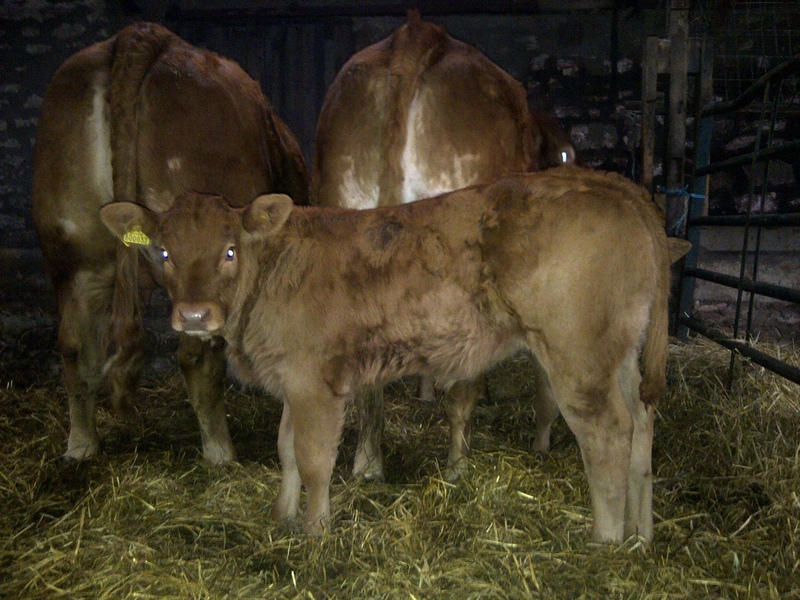 We will be flushing her to Sympa in January 2012. 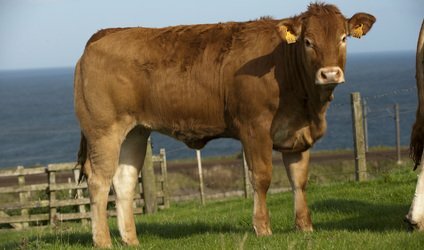 Facetie has a beef value of 25. 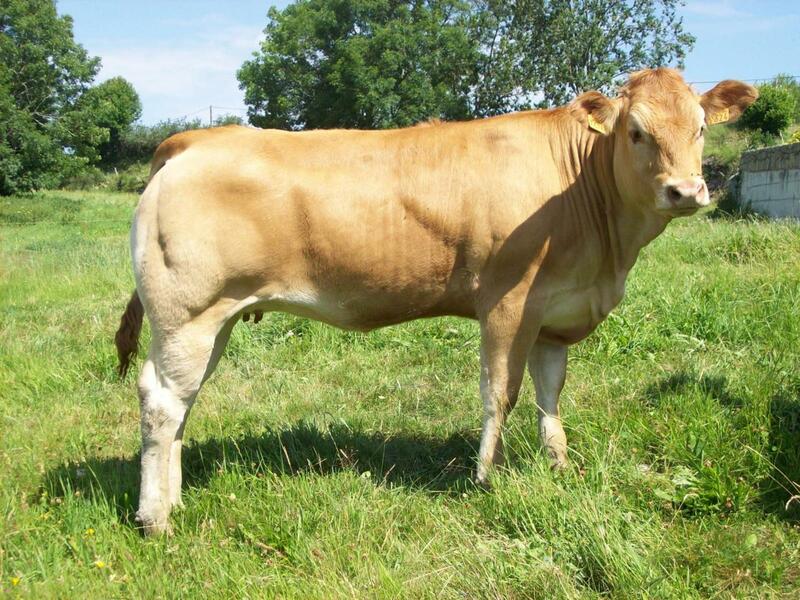 Gondole was purchased at the 2012 KBS Prestige XIII Sale in Brive from the famous Champeval herd. 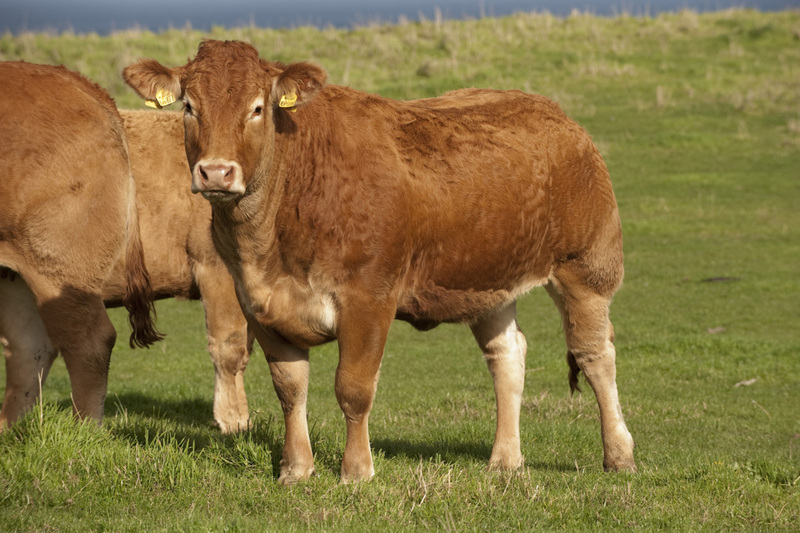 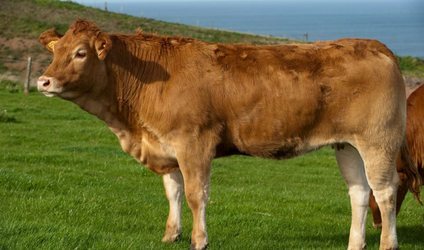 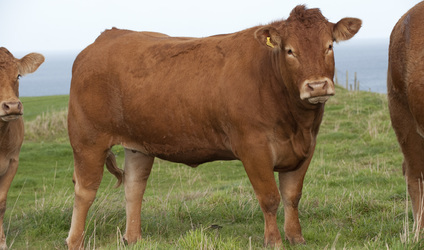 She is a thick-set stylish heifer with plenty of length and power. 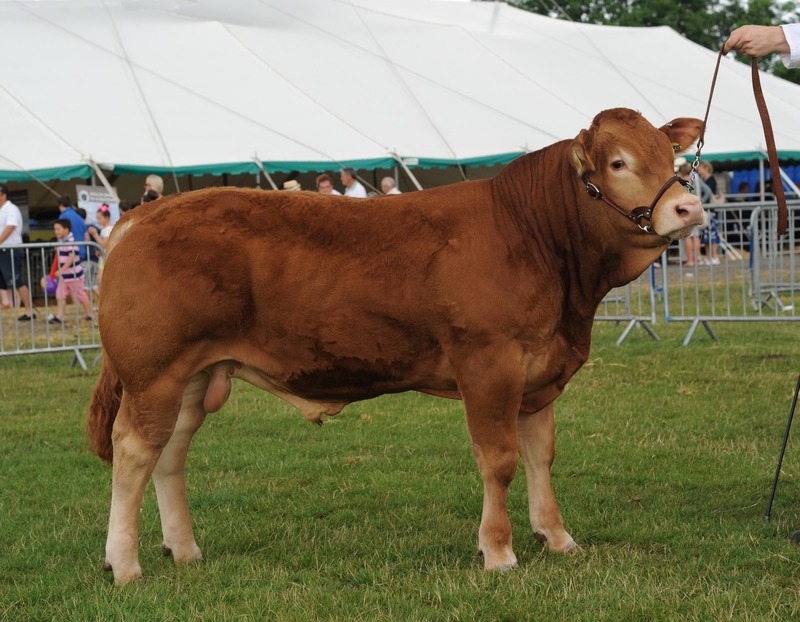 Her sire, Celestin is stock bull at Champeval; he is also sire of our own stock bull Festival. 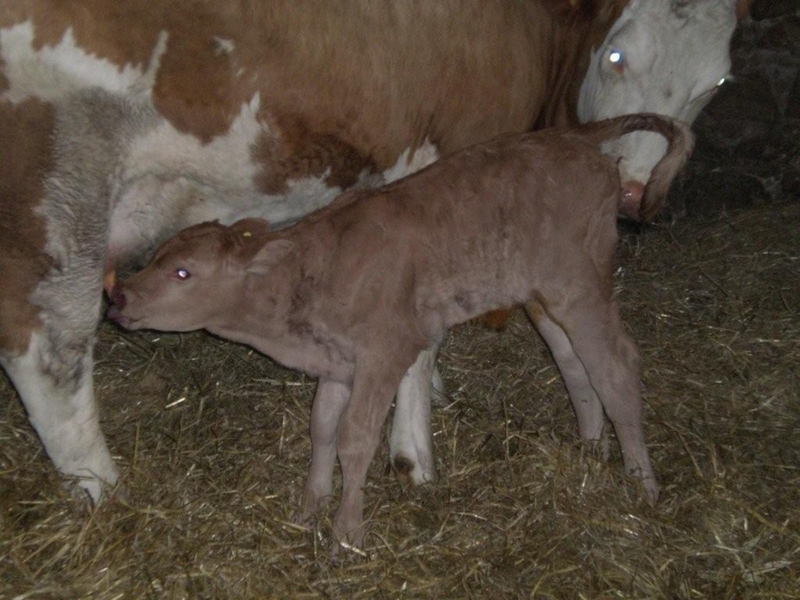 We hope the heifer will go on to produce well for the herd and believe she has a wonderful future ahead.